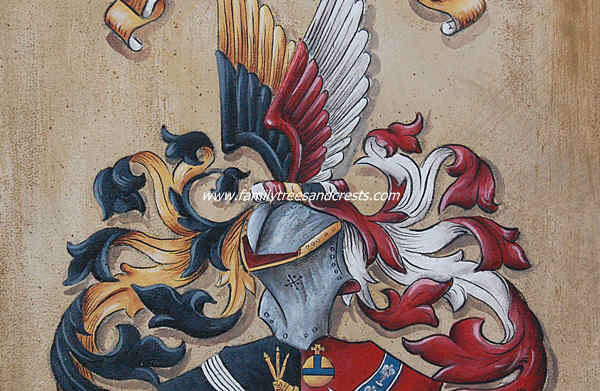 In our heraldry paintings we like to add as much details as we can without overloading the design. All paintings are hand painted with a traditional old world heraldic painting technique to achieve a unique look - shields can be also antiqued. Heraldic paintings can not be rushed - with much concentration on the design we will achieve a high quality heraldic artwork.